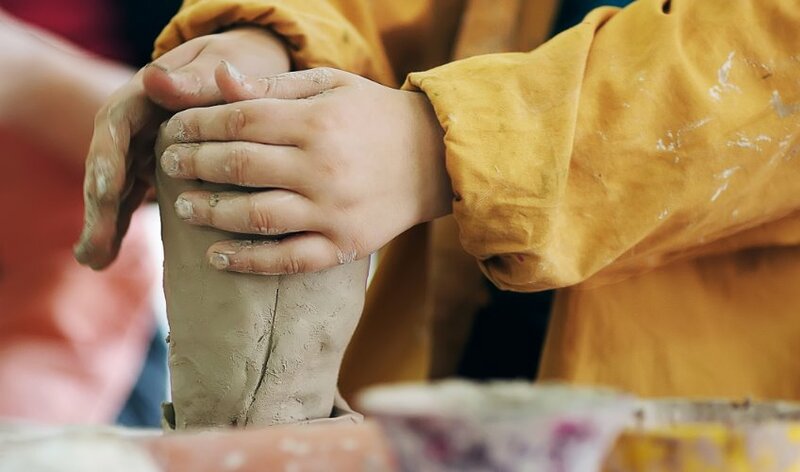 Join us for a family class where you work side by side with your child, you will be introduced to the basic pinch, coil, and slab hand-building techniques. Projects are designed to stimulate creativity in a playful way, a great way to share time with your child! Be sure to wear clothes you’re not afraid to get dirty. Includes all materials and kiln firing. Attendance at both sessions is necessary for a glazed finished piece.